The last year went well and many customers used the stereocam for various small and big projects. There’s a couple of movies beeing produced with it for cinema right now, and I hope they will be very successful. Anyhow, I have decided to make the stereocam available for FREE again. There is just too little time to further develop the script to justify the current pricetag. This version is up to date and includes all PRO features. This minor update to the 3dhippie stereocam introduces “adjustable planes”and other great workflow enhancements. 2. 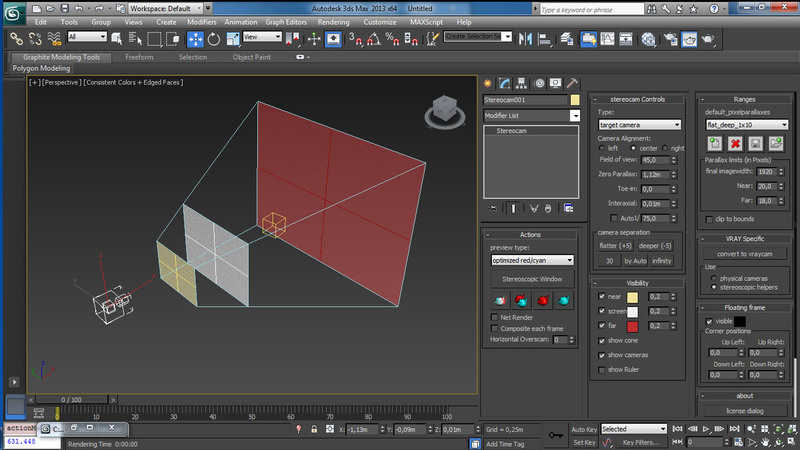 Save to seperate folders enables you to split the render output to left right and stereo folders. adjustable planes from DavidShelton on Vimeo. The new version of 3dhippie stereocam is almost ready. Just a few more bugs to eliminate, a helpfile to write and a payment system to set up. It will be available for download next week. There is going to be two versions. FREE and PRO. The free version will be perfect for most cases, and the PRO license offers additional features that are more advanced. To pass the time, check out the new video. It showcases all new features (PRO features are marked as such). 3dhippie stereocam v2 from DavidShelton on Vimeo. Beta testing is over. Thank you all for the great feedback. The final version will be available soon. This is a very exciting announcement. After a long time of development the new stereocam version is almost ready. If you want to check it out, contact me immediately. I need people to experiment with it and provide me with good feedback (bugs, missing features, awkward behaviour etc.). 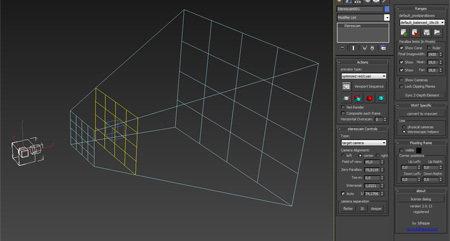 A maxscript to remap entire psd files with all the layers to a different Set of Uvs. Finally, My showreels are public. There are two versions, a standard and a stereoscopic version, both showcasing my best personal and commercial projects. showreel 2010 from DavidShelton on Vimeo. stereoscopic showreel 2010 from DavidShelton on Vimeo. Is it possible to achieve realtime stereoscopic previews inside 3dsmax viewports with the 3dhippie_stereocam? That would be great, right? Well: it is! but only indirectly. You can’t have stereo viewports at the moment but there is a brilliant plugin by the russian company kostasoft called 3D Vision Viewer to do something very similar. 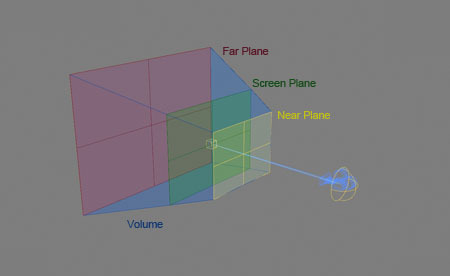 If you have a secondary monitor the plugin will establish a connection to Nvidia 3d Vision. 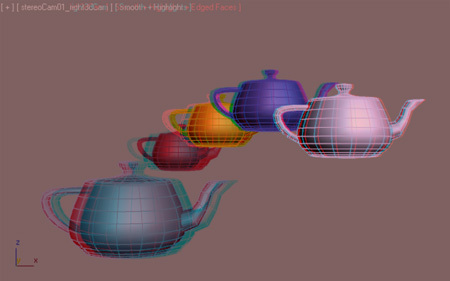 This means you can have optimized anaglyph, interlaced output or even quad-buffered opengl. Fullscreen and for FREE! I am proud to announce the new version of my stereo rig for 3dsmax. I have rewritten most of the core of the original script and switched to a different system. The camera does no longer work with cropping, but with shifted frustrums. This makes the rig a lot more flexible and professional.